What: 3D printing boosts stop-motion animation’s potential. 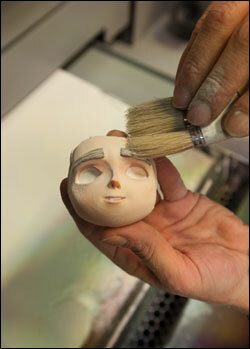 The takeaway: Rapid prototyping technology allows Laika to create more expressive characters. In the world of animation, stop-motion still feels like the most old-fashioned of techniques, and yet, in the hands of Laika, the studio behind “Coraline” and “ParaNorman,” which bows Aug. 17 via Focus, the craft is as cutting-edge as the work being done at its computer-animation rivals. What audiences see onscreen is still being animated in nearly the same way the technique was developed a century ago, with artists repositioning the characters one frame at a time to create the illusion of life. But the elements themselves — from the puppets’ faces to the props to the apparatus that holds the pieces in place — are now being digitally designed and “printed” using state-of-the-art rapid prototyping machines that take a designer’s specs and spit out a fully rendered 3D facsimile, allowing for greater expressiveness than had ever been possible in stop-motion. 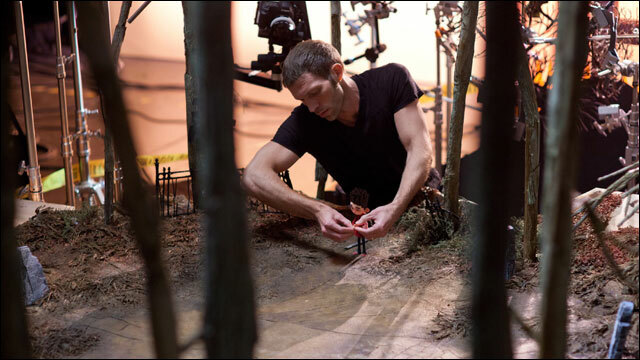 “That philosophy of fusing art and craft and technology was really at the core of Laika’s founding,” says Laika president and CEO Travis Knight, who has been working in the trenches of hand-crafted animation for nearly 15 years, and saw opportunities in the CG revolution to advance his field as well. “It’s almost like a Luddite embracing a loom. Here we were, stop-motion animators embracing the author of our purported demise,” he says. When doing publicity for the release of “Coraline,” Laika’s creative team remained secretive about its 3D printing breakthrough, fearing that a rival studio might steal its biggest innovation. But now that the company has established a foothold, it is letting others peek under the hood. At Siggraph last week, Laika’s creative supervisor of replacement animation and engineering, Brian McLean, demonstrated the technology at 3D Systems’ booth. Like many of the pros working at Laika, McLean has a purely analog artistic background. He studied traditional sculpting in school and shunned computers for years after graduating. Then, while teaching at a Bay Area university, he encountered his first 3D printer, and was blown away by the possibilities: “In a few short hours, you could have this object that you could hold in your hands,” he remembers. At roughly the same time, Laika was looking for a way to use 3D printers to streamline the replacement animation process, so the studio brought McLean aboard. In the past, sculptors had to create every expression a character might make out of a clay-like substance. That approach would limit the lead character on a film like “The Nightmare Before Christmas” to a few hundred possibilities. On “Coraline,” animators had nearly 200,000 expressions to choose from when posing their blue-haired heroine. 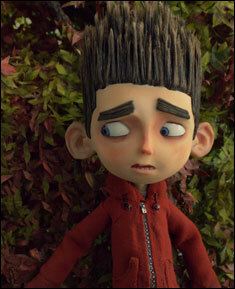 For “ParaNorman,” the range of possibilities was closer to 1.5 million. The reason for the dramatic increase was an upgrade from a basic 3D printer (the Objet Connex and Objet 260 machines used on “Coraline” produce plastic parts that still had to be sanded and painted by hand) to 3D Systems’ ZPrinters, which added an important feature: color. In addition to producing accurate 3D shapes, the ZPrinter sprays liquid ink onto a plaster-like powder. But none of the other companies using these rapid-prototyping machines were concerned about how the colors might appear onscreen, and the Laika team quickly realized that the new machines had a very limited palette. According to McLean, the ZPrinter handles yellows and greens really well, but was inconsistent with other colors, reaching only two-thirds of the desired spectrum. That’s where lead texture painter Tory Bryant entered the picture. “She had come from a traditional painting background where you mix mediums to get really tactile, textural effects,” McLean says. Instead of working with pure colors (which the printer couldn’t reproduce), Bryant might use cross-hatching with colored pencil for shading, or scrape pastels onto sandpaper and brush it on like makeup to create blush. By applying those tactics in Photo-Shop, and then printing the result, Bryant was able to trick the printer, resulting in richer, more vibrant colors. For all the limitations McLean and his team had to work around, the ZPrinters also came with an unexpected benefit. “The computer is not just painting color on top of the surface; it is actually painting it about 1/16th of an inch in. If you hold one of the faces up to light, it has this subsurface quality that you’re getting for free,” he says. That meant the animators could backlight faces or hands and get the same translucent pink glow they might from real human skin. “In a live-action film, you would spend a lot of time putting tape behind an ear so you wouldn’t get that effect,” McLean notes. To the team’s delight, the hard color-printed plastic faces matched the soft silicone used on the puppet bodies. Once the seams were digitally erased in post-production, the two materials appeared seamless. “That opened the door to all these crazy character designs that hadn’t been available before,” McLean says. Suddenly, “ParaNorman” co-directors Chris Butler and Sam Fell were liberated from the slender, bobble-headed approach of previous stop-motion characters like “Coraline” or “James and the Giant Peach,” where the textures don’t have to match and bigger heads are easy for the animators to pull off and adjust. Now, they could design characters with teardrop-shaped bodies, no chins or fat necks. Meanwhile, by using digital tools to design and print the faces (a process that still begins with hand-drawn expressions, but relies on the computer to render the increments between key frames), Butler and Fell could achieve a subtlety lacking from the broad, pantomime-based style of traditional stop-motion, bringing the performance style closer to live-action. The technology has allowed Laika to do far more than it originally envisioned. “It’s not an easy process,” Knight says. “It doesn’t save us tons of time and energy, but it allows us to make repeatable things” — including props, parts of sets and more complicated objects, such as the “Scooby-Doo”-like van in “ParaNorman,” that would be too difficult to sculpt more than once — as well as to distort the shape of faces and objects.